The Ironworks campus is home to 13 different businesses occupying a million square feet on 24 acres. One of the most popular landmarks in Beloit is the Ironworks campus, located on the banks of the Rock River in the heart of Beloit’s City Center. For nearly 150 years this site was home to the Beloit Corporation. Like many industries in the region, Beloit Corporation struggled and ultimately closed its doors in 1999. But rather than let the property sit empty, Diane and the late Ken Hendricks had other ideas. In 2001 the Hendricks bought the property and began redevelopment of the campus. It was renamed the “Ironworks” to honor the center’s history, and renovation on the 750,000 square-foot property began in 2002. Former office buildings, foundry, and various manufacturing and storage areas were converted into attractive loft offices and manufacturing space. The latest additions include AccuLynx, who is relocating its software development company to the Ironworks Campus. The company is leasing 12,000 square feet of newly remodeled office space and taking an option for an additional 9,000 square feet. Universal Acoustic & Emission Technologies, a global designer and manufacturer of acoustic and emissions products for the power generation, oil and gas, industrial and original equipment markets, has signed a 12-year lease for 106,000 square feet of the Ironworks campus. Universal already leases about 30,000 square feet there. With the new lease, it has an option for an additional 67,000 square feet for expansion. 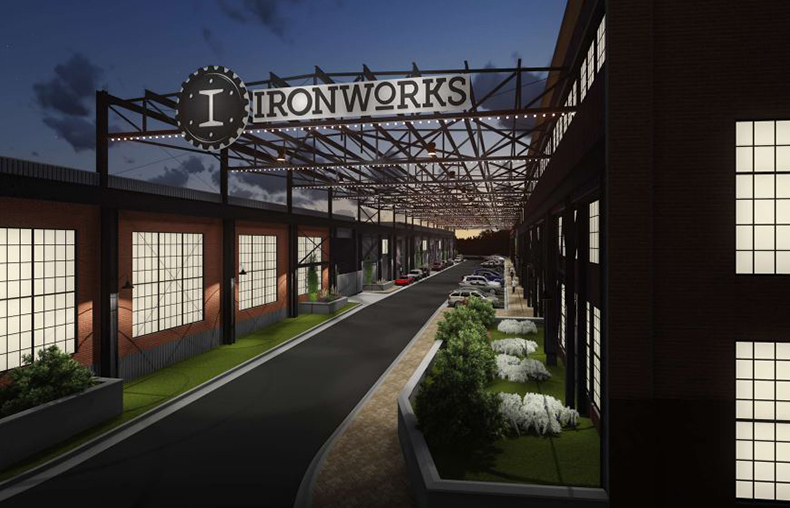 The Ironworks campus is in the midst of a $30 million renovation project. The upgrades include new entrances, parking, roads, and lobby for current tenants, as well as windows, flooring, lighting, electrical and other amenities. The project has been in the works for the past five years. “Our goal is to make this a state-of-the-art facility for small and medium sized businesses that want a dynamic, creative and energized culture for their companies and their people for their businesses to grow beyond their wildest dreams,” says Gerbitz.